The court said that the wife was a working woman and yet, she was the one who had the additional burden of buying groceries, cooking for the petitioner and his parents, and doing all other household work. Court refuses to accept allegations that wife is not "dutiful"
A man's plea seeking divorce from his wife on the grounds that she was not "dutiful" as she woke up late and did not cook tasty food has been dismissed by the Bombay High Court. 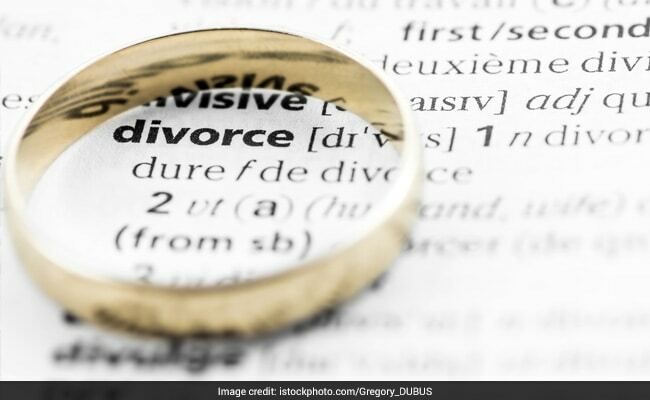 A bench of Justices K K Tated and Sarang Kotwal upheld an order of the family court that had dismissed the divorce plea filed by the resident of Mumbai's Santacruz, stating that the allegations made did not amount to cruelty, and therefore, could not be a ground for divorce. The bench ruled that the family court's conclusions that the allegations made did not amount to cruelty was correct in law and must not be interfered with. It observed that the wife of the petitioner was a working woman and yet, she was the one who had the additional burden of buying groceries, cooking for the petitioner and his parents, and doing all other household work. Therefore, allegations made by the petitioner that his wife did not cook tasty food, or that she was not dutiful could not be accepted as a ground for divorce. The observations were made by the bench in an order passed yesterday while hearing the plea filed by the petitioner, challenging the family court's order that had refused him a divorce decree. In his plea before the High Court, the petitioner had claimed that the family court judge had erred in its order. He had submitted as evidence, the statement of his father supporting his allegations. He also alleged that his wife would abuse him and his parents if they tried to wake her up early in the morning. The petitioner alleged that after returning from her workplace at 6 pm, she would take a nap, and cook dinner only around 8.30 pm. "She did not cook tasty and sufficient food and she never spent quality time with me. On days that I returned late from work, she would not even offer me a glass of water," he contended. The wife denied all the allegations and said that before going to work, she used to cook food for the entire family. She also submitted as evidence, the statements of a neighbour and some relatives from the petitioner's side who testified that whenever they used to visit her, they would find her busy with some household work. She, in turn, alleged that the petitioner and his parents used to ill-treat her. "It is difficult to believe that the Respondent (Wife of the petitioner) was constantly abusing and threatening the petitioner and his parents. It is further the Appellant's (petitioner) case that when he used to return home late, the respondent failed to cook well, or take care of his needs. That again cannot amount to cruelty," the bench said. "One can't lose sight of the fact that the respondent herself was a working woman who, in addition to her job, had the additional task of cooking each morning and evening, of buying vegetables, and groceries on her way home from work," the bench said. "The learned Family Court judge also rightly criticised the appellant for expecting a glass of water to be offered to him each time by the respondent," the bench said. "Thus, taking overall view of the matter, we do not find any merit in the appeal. Consequently, the appeal is dismissed," it said.